This season’s Winter Fun Day at Lake Maria will happen on Saturday, January 19, 2019. Some of the exciting activities happening that day are listed below. For more information and a schedule of events, contact Lake Maria State Park at 763-878-2325, or check our Facebook page at Friends of Lake Maria State Park. All events are free, but a $7 vehicle park entrance fee will apply to those without an annual permit. The park is located seven miles northwest of Monticello, 10 miles northeast of Annandale or 5 miles north of Maple Lake on Wright County 111. 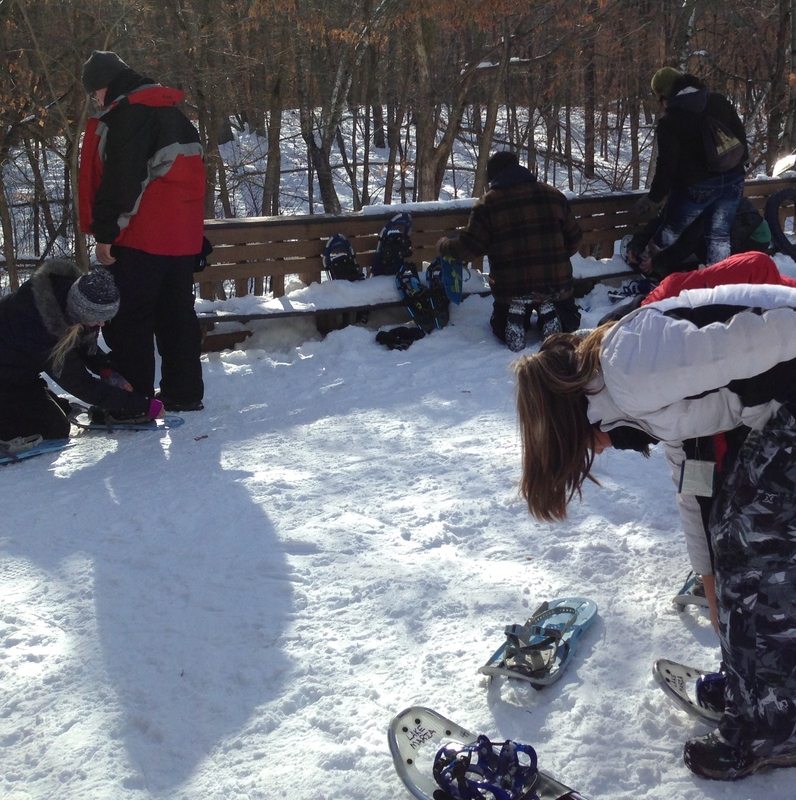 A day of winter fun while trying snowshoeing! Photo by Bev Johnson.